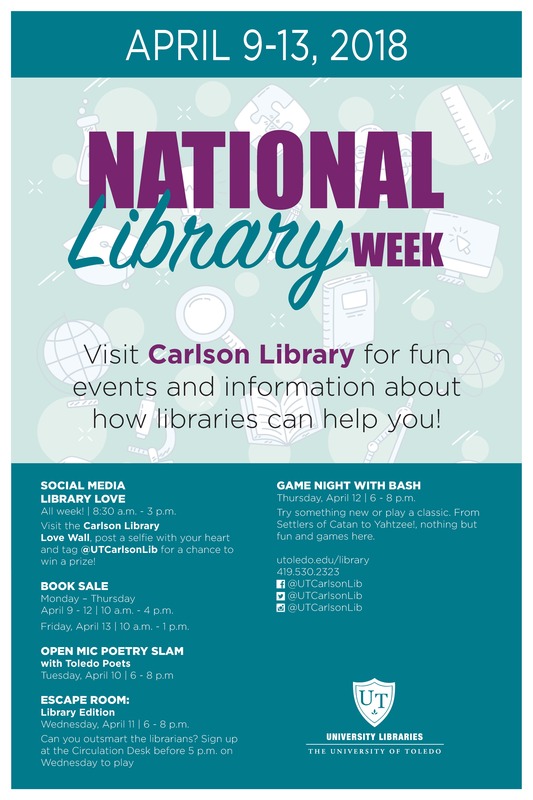 Celebrate National Library Week with the UToledo Libraries! April 9-15 is National Library Week and the University of Toledo Libraries join other libraries nationwide in celebrating the value and importance of libraries, librarians and library workers. Celebrate National Library Week and your love of reading by taking home some books! 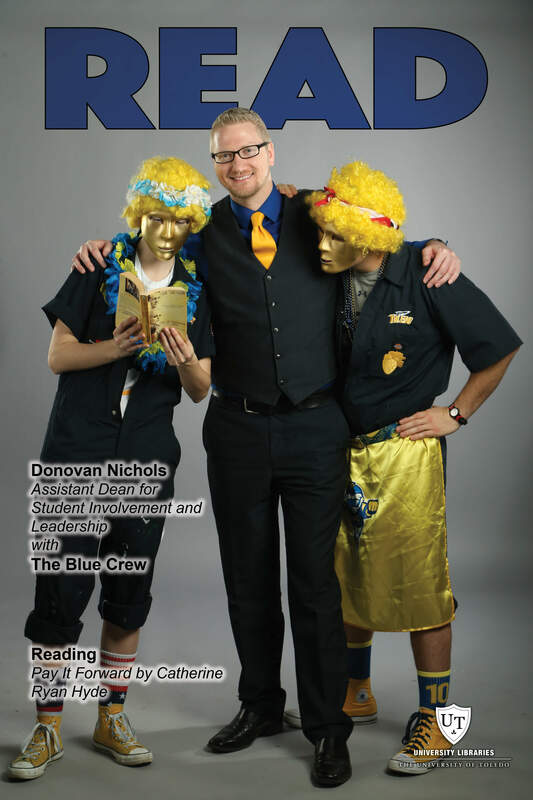 READ posters will be on display at both the Carlson and Mulford libraries. Click the READ tab above to learn more and to view this year's participants... and to see what they've been reading!